That’s why the Siemens Foundation is proud to have taken part in the important conversations at this week’s conference. 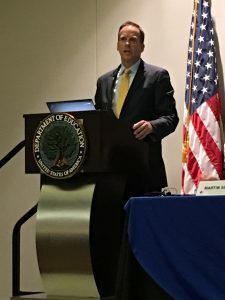 Embedding work-based learning throughout our education systems will require sustained efforts from government, companies and educators working together. Simply put, we need an “ecosystem” of public and private partnerships for work-based learning to thrive in the U.S.
Our current efforts with the National Governors Association’s Center for Best Practices and the Aspen Institute’s College Excellence Program represent just a couple of the ways that we’re working toward that goal. We’re proud to join the U.S. Department of Education, the U.S. Department of Labor, the Organisation for Economic Co-Operation and Development and others to support work-based learning and look forward to a time when students and employers everywhere have the opportunity to experience it firsthand.